This week on Talk Back we tackle the NFC South divisional preview and applaud the fantasy stars that should come out of this division, before moving on to the huge trade between the Cavaliers and the Celtics that sent Kyrie Irving packing, as requested, away from Lebron James. Near the end of the show, Justin gets on the mic for another Back Talk segment to give his opinion on what athletes should be doing with their platform to invoke political change. In the lightning round we discuss ... See More NASCAR preempted for preseason football, Kyle Busch's dominance of the lower series, and what will happen in the boxing spectacle between Mayweather and McGregor. 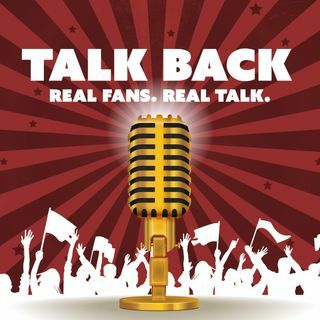 For updates and future topics, follow @TalkBackFanTalk on Twitter!